With just days left in the January window, will Unai Emery look to bolster his squad as Arsenal compete for top four. With the days counting down before Thursday’s January transfer deadline day, the rumour mill is intensifying with Arsenal yet to bolster their squad in this window. Unai Emery admitted in his press conference ahead of the Manchester United game that he wanted the club to add a winger and a defender. “We need, if he can come here, a winger for the right or left or some players also at centre back,” said the Arsenal boss. However, the Spaniard did also announce that the club would only be able to bring in players on loan in this window, potentially stalling any activity in this window with more funds likely to be available in the summer with the wage bill set to be freed up by the departures of Aaron Ramsey and Petr Cech. Emery has often opted for a side which features his two most prominent attackers in Alexandre Lacazette and Pierre-Emerick Aubameyang, but Arsenal’s lack of natural wingers has been alarming. Aubameyang has been experimented on the wing but looks more comfortable playing closer to Lacazette, while Emery’s options have been limited to Alex Iwobi and Henrikh Mkhitaryan who is more suited to a central position. With Arsenal’s only natural winger, Reiss Nelson out on loan, Emery will be keen to bolster his options in that position before the deadline. Denis Suarez is a player that has been linked heavily with a move to north London this month having fallen out of favour at Barcelona having only made two league appearances this season. A versatile player who is comfortable playing as a central attacking midfielder and on both wings, Suarez has spent some time with Emery having been loaned out to his Sevilla side for the 2014/15 season. However, it appears that talks have broken down between the two clubs with Barcelona reluctant to do a deal without the option of a permanent deal at the end of the season and Arsenal are reportedly unwilling to pay his £20million price tag. Another player who has previously played under Emery who has been linked with a move to the Emirates is Paris Saint-Germain winger Christopher Nkunku. Arsenal are keen to strike a deal with the French club for the 21-year-old who featured in 20 league games with a return of four goals under Emery last season. 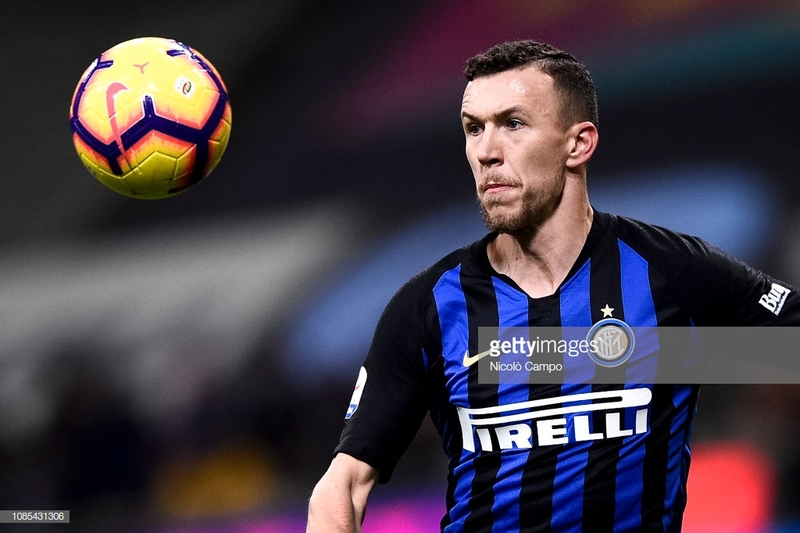 It has emerged today that Arsenal are also interested in bringing Inter Milan winger Ivan Perisic to the club on an initial loan deal. It is understood that the player would be willing to make a switch to the Premier League and Inter would require around £35million in the summer to make the deal permanent. The Croatian international enjoyed a fantastic World Cup in the summer with his side finishing as runners-up and the 29-year-old has previously been in hot pursuit of Premier League clubs and may be the ideal option for Emery to strengthen his attacking options. Arsenal’s defensive problems are still evident this season and Emery has expressed his desire to strengthen in this position. Injuries in last night’s FA Cup defeat to Laurent Koscielny and Sokratis Papastathopoulos may force the hand of the Arsenal board to spend on a centre back in this window with Rob Holding also out for the remainder of the season. It is expected that Konstantinos Mavropanos will be fir and available for selection imminently but with an away trip to current champions Manchester City looming next week, the Gunners’ defensive options may be limited.